Gelaskins practically kick started skinning of our gadgets. but if the 3M vinyl stickers with fancy graphics is not for you, how about going on a more serious note with wood-skins? 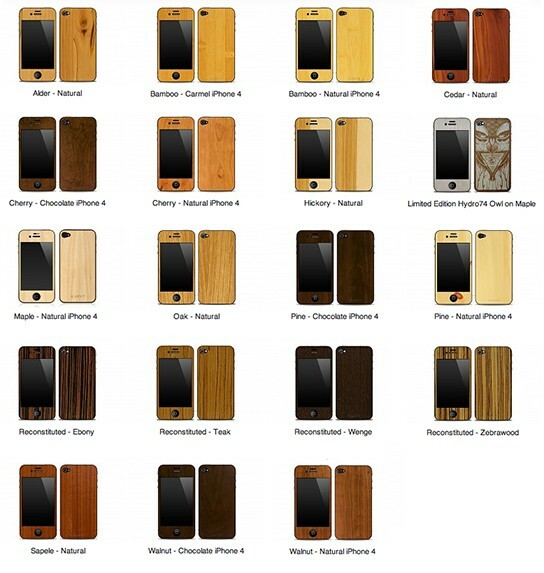 sure, you can always get a bamboo made iPhone case but that adds bulk while the KARVT doesn’t. however, the trade off is, much lesser protection for your phone. there are different kind of woods to choose from, ranging from Alder to Pine to Walnut. 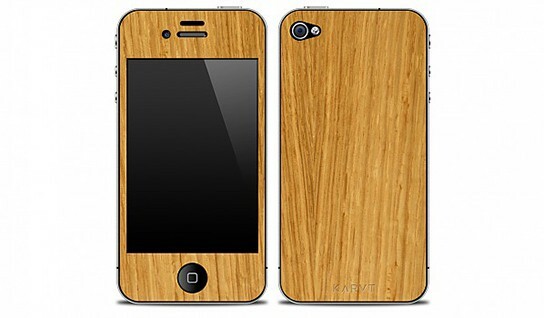 the KARVT skins set comprises of front and back skin cover. however, ordering for the ‘Back’ only skin is possible too. prices start from $15 for 3GS and from $25 for iPhone 4 skins. 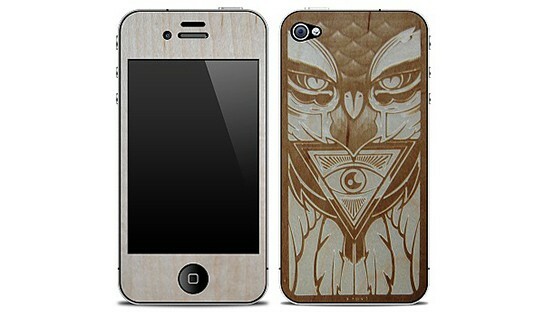 there’s also a Limited Edition Hydro74 Owl designed by Orlando-based artist… Hydro74 on maple wood, which cost $30. do note that the skins only cover the front and back, while sides and corners still remain exposed. its a fair trade between beauty (& slimness) and (serious) protections. i am cautious. for now, ultra thin, and almost no protection case is the farthest i will go with my iPhone 4. but the KARVT item is really beautiful and it took me much effort to peel my eyes off them. KARVT also has wood skins for both MacBooks and iPads too.